Intel is developing a range of discrete GPUs, and is set to launch the first products by 2020. The addition to its core business was rumored for a while, and was finally confirmed by analyst Ryan Shrout on MarketWatch. Historically, Intel specialized in integrated graphics controllers that were sold as part of its CPUs. They offered basic functionality but were never popular among 3D imaging enthusiasts. The move puts Intel in direct competition with Nvidia and AMD, the two companies that have dominated this section of the market for more than a decade. Intel’s change of heart comes at a time when GPUs – originally designed to run demanding video games – are becoming increasingly important in the data center. While a modern CPU might have up to 64 cores, a typical GPU has several thousand, making them perfect for massively parallel processing tasks and machine learning workloads. Another emerging application for GPUs is Blockchain operations; GPUs can also be used for cryptocurrency mining, as long as the difficulty of calculations remains low. In the middle of 2017, the demand for graphics chips among Ethereum enthusiasts was so high, it actually caused a shortage of GPUs, leading to considerable price hikes. Intel’s discrete GPU efforts will be led by Raja Koduri, the man who previously oversaw the Radeon Technology Group and was responsible for a successful re-launch of AMD’s GPU line-up using the Vega architecture. 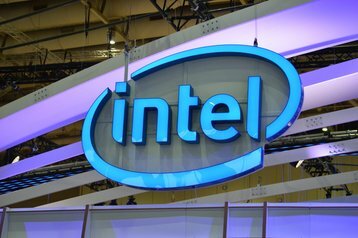 According to Shrout, Intel aims to offer hardware for a variety of market segments including personal computers and data centers.